Are you considering moving to Minneapolis-Saint Paul? Commonly known as the Twin Cities, this vibrant area in Minnesota is home to more than 3.2 million people, and it’s growing every day. And while the city is popular among many age groups, millennials, in particular, are coming here in droves. Why? For one thing, it’s affordable, especially when compared to metropolitan areas of a similar size. The cost of living in Minneapolis-Saint Paul is 50% lower than Washington DC, and 73% less than Oakland, CA. Minneapolis offers tons of entertainment options, a thriving culinary scene, and is famous for the Chain of Lakes, making it one of the most beautiful cities to live in (in our humble opinion). Plus, Minneapolis-Saint Paul is a top choice for young professionals. More than a dozen Fortune 500 companies call the Twin Cities home, and it’s also growing hot spot for technology startups. Whether you’re moving here for work or play, it’s important to choose the right neighborhood to live in, especially in such a large metro area. In this guide, we’ll take you across the Minneapolis-Saint Paul neighborhoods map from every direction to show you four of our favorite millennial neighborhoods in the Twin Cities. More than 30,000 people live in this Minneapolis-Saint Paul neighborhood, which lies on the border of the Chain of Lakes Park area of the city. It’s an outstanding choice for Minneapolis-Saint Paul young professionals due to its proximity to Downtown, affordable cost of living, and bustling nightlife. Housing options in Uptown range from apartments and condo to lakeside townhomes and single-family houses on large plots of land, making this a top neighborhood for Minneapolis-Saint Paul millennials to stay in, especially as they move towards home ownership and starting a family. Since it’s so close to the lakes, Uptown is one of the best neighborhoods to visit in Minneapolis-Saint Paul if you enjoy getting outdoors. On Bde Maka Ska Lake (previously known as Lake Calhoun), grab a paddle board or kayak to enjoy a sunny day out on the water. Or get some exercise on one of Uptown’s many walking and biking trails. Don’t forget to stop by Isle Buns and Coffee, if you’re visiting Uncle Jon’s, for a delicious Puppy Dog Tail. At the end of the day, quench your thirst at one of Uptown’s popular bars, like the Uptown Bar and Rooftop, where you can enjoy drinks with a view. Looking for the best place to live in terms of Minneapolis-Saint Paul neighborhood safety? It doesn’t get better than Linden Hills, which is safer than 99% of cities in Minnesota. Located on the Southwest end of the city, Linden Hills offers a quieter side of city living, while still being just a short commute for Minneapolis-Saint Paul millennials in the workplace. Affordable apartments and single-family homes line the streets in Linden Hills, which is ranked the #1 best place to live in Minneapolis-Saint Paul for families by Niche.com. Like Uptown, Linden Hills is nestled along the Chain of Lakes, making it easy for residents to go out and enjoy the city’s natural beauty. 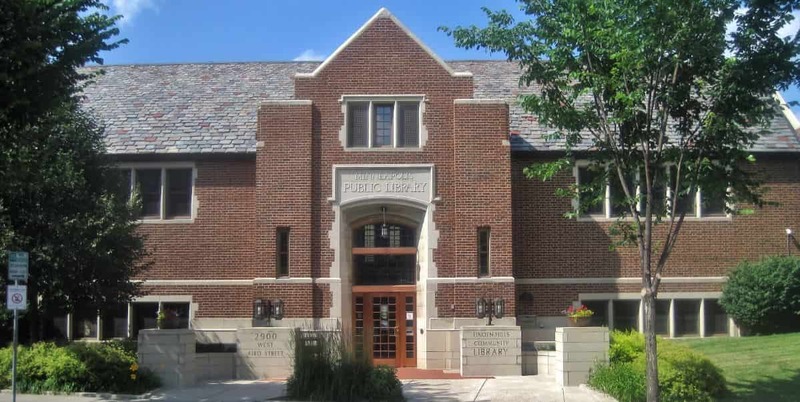 The Linden Hills Library offers an impressive collection of books for avid readers and has been a staple of the community for over 100 years. Residents here also benefit from a unique shopping opportunity: The Linden Hills Co-Op has been serving locals since 1976 and includes a full deli and a fantastic selection of organic and locally produced foods. This neighborhood is also known as the Warehouse District because many of the new condominiums and apartment complexes are actually restored warehouses. It’s also one of the Minneapolis-Saint Paul’s best neighborhoods for millennials because of its premier location downtown, and lower-than-average median rent. From the North Loop, Minneapolis-St Paul residents are just a few blocks away from the city’s main business districts, where you can find everything from tech startups to top Fortune 500 company headquarters. The North Loop is a haven for young people, with plenty of fun things to do. Sports enthusiasts are steps away from Target Field (football) and Target Center (basketball) stadiums. The nightlife here is active, and the neighborhood is home to everything from dance clubs to craft breweries. Foodies will also love living in the North Loop, which is home to some of the top Minneapolis-Saint Paul places to eat, including The Bachelor Farmer, where the executive chef is a James Beard award recipient. The last stop on our Minneapolis-Saint Paul neighborhood guide is Whittier, a small district located on the South side of the city. Although the neighborhood was originally founded by wealthy merchants and is still characterized by many Victorian-style homes, it’s a popular choice for millennials and young professionals today and offers housing at a range of price points. Whittier is also a major culinary hub in Minneapolis-Saint Paul; the renowned “Eat Street” in Whittier covers 17 blocks and features more than 50 eateries. Local favorites include Eat Street Social and the Copper Hen Cakery and Kitchen, but you’ll want to try them all. Whittier is also one of the best Minneapolis-Saint Paul neighborhoods to visit if you love art. 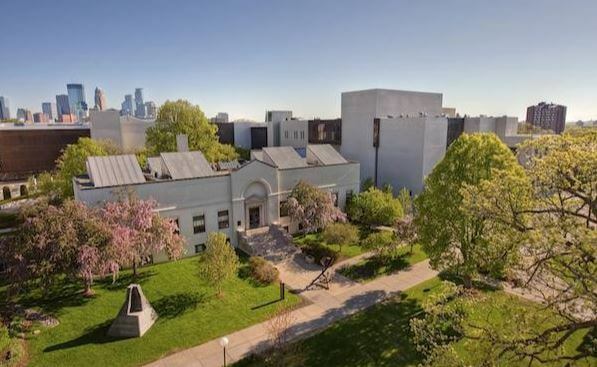 In addition to being the home of the Minneapolis College of Art & Design, you’ll find the Minneapolis Institute of Art in the neighborhood. The museum features both permanent and seasonal exhibits from artists all around the world, as well as programs for children and young people interested in the fine arts. The Twin Cities have something to offer everyone, whether you’re a college grad looking to jumpstart your career or a seasoned professional searching for a new hometown. If you think Minneapolis-Saint Paul is your next destination, we hope this guide has helped you narrow down the search for the perfect neighborhood! Need help with your move? Use Move Matcher to find and compare dozens of top Minneapolis-Saint Paul Moving companies, so you can move with confidence. Want to learn about other millennial-friendly cities and neighborhoods? Check out our guides to Charlotte, Jacksonville, San Jose, and Denver to find your next destination!